"I'm just excited, and happy, and I'm shouting out to you guys to say thank you. 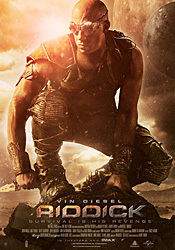 Universal just called me and told me Riddick is number one on the DVD charts. There's no way Riddick would have been made without you guys. You know that. and you guys have been a part of our page since 2012 and remember how arduous a road it was to get the movie made, and to make it rated 'R,' and to do it with such a low budget. It's a win for all of us and I really, really thank you so much. Yeah, I'm excited, and of course, Universal also says they want to develop the next one." You can check out the video, in which Vin shows off some of his sweet dance moves, below. His comments start at the 3:12 minute mark. 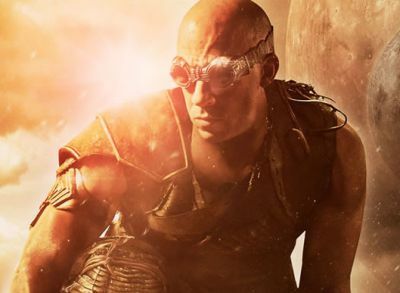 The third in the franchise, 2013's Riddick was just shy of a $100 million global total with $98 million. It's available now on DVD and Blu-ray.